Home is the place where you should feel safest and most secure. But when the home is full of negative energy, it has a tangible effect on your emotions as well as health. You cannot see energy with the naked eye, but you can certainly feel it as the energy of your home often reflects your own inner emotional state. It can demean your value, destroy your confidence, derail your dreams, diminish your imagination and dampen your abilities. Negative energy also contributes to lots disturbances in family relationships. It can even lead to conflict among family members. Living in such situations will lead to more anxiety and stress. Although negative and positive energies will always exist, the key is to limit the amount of negative energy so that you can lead a happier life. There are many ways to remove negative energy from your space, which can go a long way in restoring balance and harmony in your life as well as that of other family members. Here are the top 10 ways to remove negative energy from your home. When you enter a clean and clutter-free room, you feel good and the opposite happens when you enter a dirty, messy and cluttered room. This is mainly because all the clutter and dirt attract negative energy. Every time you clean, you are automatically removing negative energy. This is why cleaning your home or workspace should be on your priority list to help fill the area with more positivity. 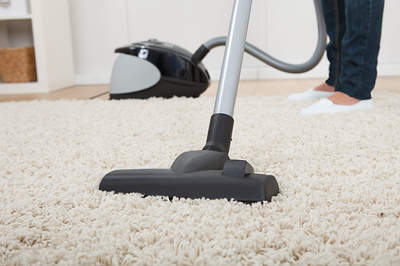 Regularly clean and vacuum each and every room of your home, including the bathroom and kitchen. Clean all of the doors, doorknobs and windows in your space. They should be free of dirt and dust. Every night, make sure your cooking area and kitchen is free of dirty dishes. Keep your things organized and in their designated place. Get rid of things you no longer need. You will only end up with more clutter. Remove toxic products from your home. Do not put your laundry anywhere you like. Keep your laundry in a laundry hamper. Once dry, tightly bind the sprigs together with a string or twine. Your homemade sage smudge stick is ready for use. Before starting the process, you need to clean your house and open all the doors and windows as well as cupboards and drawers. To smudge, light a rolled stick of sage placed in a fireproof container to catch ash and embers. Fan the sage delicately with a feather or your hand. Start off by cleansing yourself by lightly fanning the smoke into your body from the feet up to your head. Walk slowly around your home, swirling it in circular motions, concentrating on the walls, corners, floor as well as the ceiling. Keep yourself on the left side of the rooms all along. Say positive affirmations during the process to promote positivity. Finally, get the burning sage out of your house and put it in an open area to burn off. Apart from sage, cedar, lavender, pine and other sweet-smelling herbs and plants can be used for smudging. As negative energy needs objects to hang on to so it can remain around, it is important to keep changing your room décor from time to time. Just rearranging the position of your furniture is enough to break the bad energy. Move the furniture in your house around a little bit at least once a month. While rearranging, give importance to open space and your comfort, too. Experiment with the arrangement until you find your room full of life. Anything that does not give you a good feeling is just not the right arrangement. Ask for suggestions from family members and friends. Do not keep broken home décor items or any that you no longer use. Throw away or donate unwanted furniture and other items. Fresh air and sunshine have incredible cleansing powers. The strong energy of nature will always make you feel good. 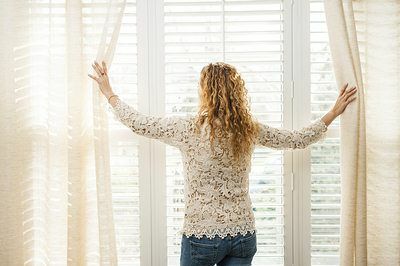 So, allowing a little sunshine and plenty of fresh air to enter your home is another simple way to boost positivity in your life as well as home. In the early morning, open the windows and doors to allow fresh air and sunlight in and negative energy out. You can even stand near an open window to expose your body to early morning sunlight. This will help your body produce vitamin D, which is important for your overall health. Bright sunlight can even relieve anxiety and reduce depression. Not just your body and room, you must also dry out your washed laundry in the sunlight. Also, expose your house plants to sunlight from time to time. Sea salt is another option to transmute negative energy from your home as well as within you. 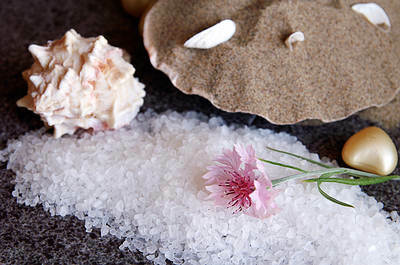 It is also believed that sea salt helps generate negative ions in the air, thus creating positive vibes. Add a few tablespoons of sea salt to a cup of warm water and stir it thoroughly until the salt dissolves. Put the solution in a spray bottle. Spray this solution in different corners of your home. Sprinkle some sea salt over the entire room, especially in the corners that face the northeast and southwest directions. Leave it overnight if possible, then vacuum up the salt. Discard the salt particles outside. 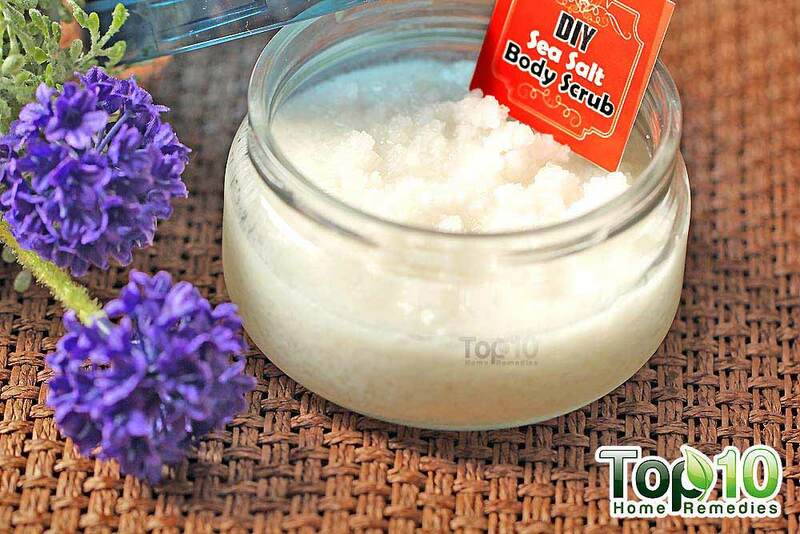 To purify your body, put 1 cup of sea salt in a bathtub filled with warm water. Soak your body in this water for 15 to 20 minutes for a relaxing and purifying bath. The sound and vibrations that come from loud clapping help break up negative energy patterns and allow them to disperse. In fact, loud and clear sounds are a powerful cleansing method for the home. When we talk about loud sounds, Mother Nature with the noise of thunderstorms does the same. Even the sound of fireworks and church bells feels so calming and cleansing. Walk through your home clapping around, especially in corners, on shelves and under the stairs to prevent negativity from dwelling in your space. The sound of your clapping should be crisp and light. Avoid heavy and sluggish clapping as it indicates negativity. Along with clapping, you can use bells, chimes, drums or Tibetan bowls to break the negative energy patterns in your house. Another good method to clear negative energy out of your home, office or any item is using essential oils. The strong aroma of essential oils will disperse negative energy. At the same time, it will refresh your home naturally and invite good energy to enter your home and life. Another plus point is most of the essential oils have medicinal benefits, too. Their antibacterial and antiviral properties make your home healthier naturally. 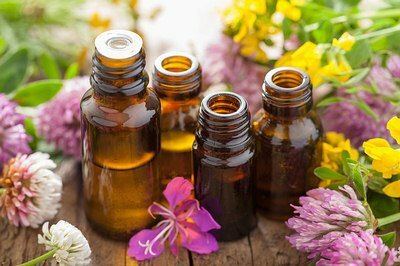 To repel negativity and boost positivity in your home, you can use different types of essential oils, such as lemon, sweet orange, lavender, sage, peppermint and rose. Fill a small spray bottle with spring water. If you don’t have spring water, use normal tap water. Mix 15 to 30 drops of any essential oil of your choice in it. Spray the essence into the air in your home or office, especially in the corners, windows and doors. Do it once a week or whenever you feel low. 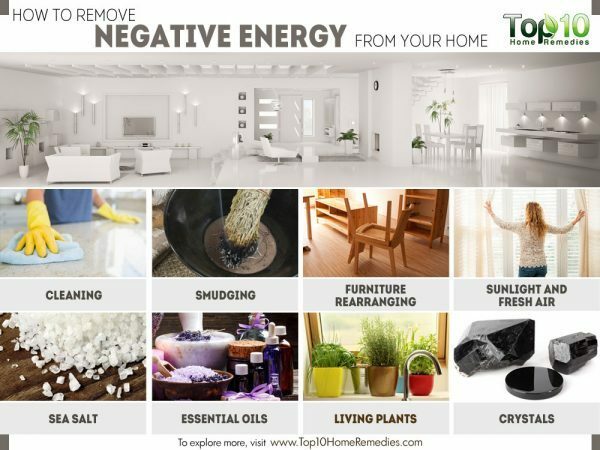 When it comes to removing negative energy from your home, Mother Nature provides you with many options. 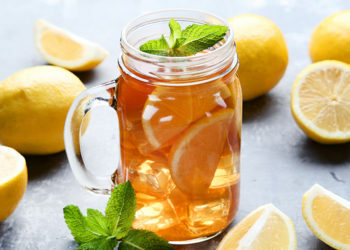 There are many beautiful herbs and plants that are very effective at deflecting negative energy and balancing your inner connection with the outer world. 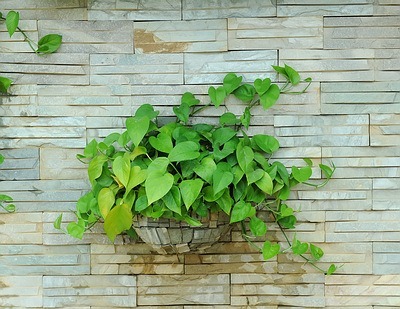 Plus, living plants add beauty and greenness to your home décor. They also ensure that you have an ample supply of oxygen in your home. Some examples of living plants that you can put in different rooms to boost positivity include lucky bamboo, money plant, sage, holy basil, orchid, peace lily, aloe vera, rosemary and jasmine. Before bringing living plants inside your home, make sure you have time to water and maintain them. Always get rid of dead, dying and dried parts of the plants. If your plant dies, be sure to remove it quickly. There are several crystals and stones that can be used to ward off negative energy. Crystals release a higher vibration to break and repel negative energy away from your home and bring positive energy. It can even fight negative emotions and thoughts encountered from the people around us. Black tourmaline is one of the best crystals that you should have in your home. 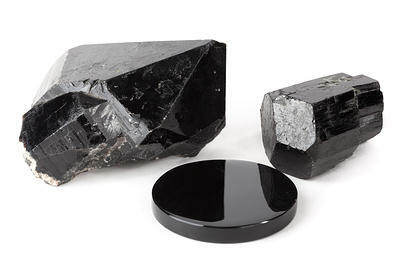 Place black tourmaline near the entrance to prevent any potential negative energy from entering your home. Another option is to place it in the center of your home to repel negative energy outward. Other crystals that are good at fighting bad energy are rose quartz, smoky quartz, hematite, jet, black onyx, amethyst, black obsidian and apache tear. To help crystals do their work, it is important to clean them once a week. Place them in a bowl of filtered water and dry them in the sun for at least four hours. The spice saffron can also be used to purify your space. According to Tibetan tradition, evil energies do not like the strong smell of saffron; hence it helps in getting rid of negative energy. Infuse the fresh aroma of saffron in your house to expel and evacuate the negativity. Sprinkle some saffron at the entrance as the sun sets. This works as an invitation to positivity, because sunset is the time for the union of day and night. Its bright color also assists in increasing the spiritual purity around your home. 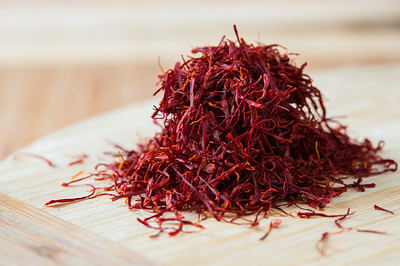 You can even mix a little saffron with water and sprinkle the mixture in any room you wish to purify. Simply walk in a room and chant a prayer or mantra to allow positivity to seep into the house. You can even play an audio recording of any prayer, daily in the early morning or late afternoon. Natural fragrances of flowers can also expel negativity. Put fresh flowers in small bowls and place them in your rooms. Light scented candles, incense or your fireplace, if you have one. Fire is a powerful purification tool. You can even burn lemon or orange peels. The pleasant and uplifting smell also works to repel any lower energy circulating in your room. Meditation creates vibrations that help expel negativity from within you as well as your home. Meditate in your home on a daily basis. U r awesome….simply no words….u r doing great things via your top10homeremedies…..thanks a ton…. Thanx for such valuable info. Thank U for your kind information which is very vital in our day to day life. Thanks so very much for these tips. Always wanted to find ways to remove negative energy and this post is the best I have yet to come across. Gives very detailed instructions which I find very helpful. Lovely and informative…thanks for sharing …pl tell where to find sage.? I always wanted to do the very same things but could not succeed fully..it is a team work and needs co-operation from all family members…. anyway still trying..
All the tasks are simple but worthy.. Thanks …it is really valuable information for me .thanks a ton…. very nice nd useful tips….grt job thanks for giving such a good informations….. Thanks a lot for your valuable and precious advice.Many of us definately will get rid of this problem. Thanks for this valuable info. I’m definitely going to try & make my home have positive energy. I am especially happy about the crystals as I didn’t know which particular ones work for the home. Your every day post is amazing. It’s very helpful in our day to day life. Honestly it reminds me my grand mother. It’s amazing n enlightening to read about top 10 remedies for all useful situai most of us face. I am sure I will be benefited from it and would love to read it more often. Thank you! Thank you so much, now I know what’s causing the negative energy in my apartment. I shall follow everything you mentioned. Get rid of the clutter first. u people are doing a great job, please give more articles. Thank you very much ? Your work is Deeply appreciated and truly impacting you are doing a great deed to humanity and your acts will be reflected ? Love and light. From Los Angeles, California, 17. Thanks a lot. I oftenly do all of this. nice tips …. thanks for sharing …..! Thank you very much for nice information. Useful, Simple & Practical Tips. Thanks for Sharing.